Description: Fairytale-inspired gown of bonded lace with a sheer illusion yoke, sweetheart neckline and exposed boning. 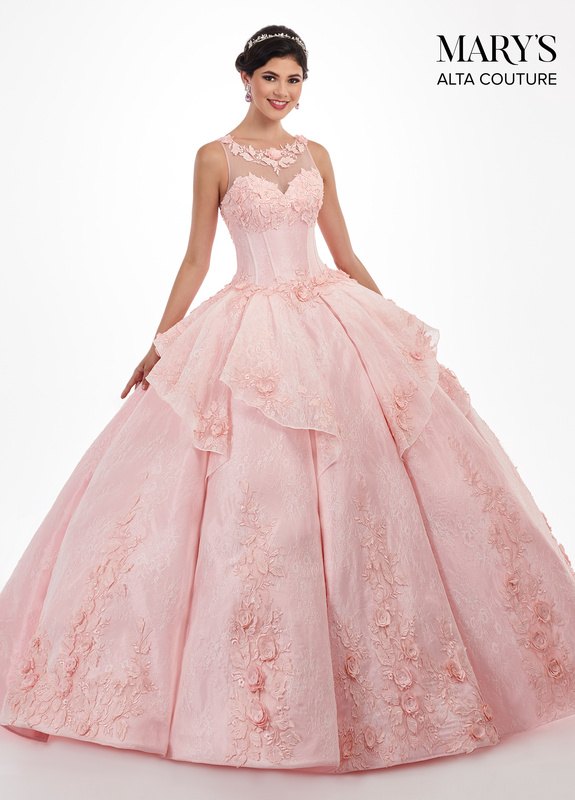 The entire gown has been embellished with 3D lace applique. The gown finishes with a full train, lace-up back closure, and a matching bolero jacket.